The #MeToo movement has shined a powerful spotlight on the gender gap in the workplace. Not only did it reveal the prevalence of sexual harassment in the workplace, but it also highlighted the continued persistence of gender inequality. Why is gender equality still an issue in 2018, when we pride ourselves in having modern talent management policies? Because people can’t let go of their biases. Most of the time, people probably don’t even realize when their biases cause them to overlook critical problems in the workplace. For example, one in five women notice that they are regularly the only woman in meetings, and that number skyrockets to 40% for women in Senior Management. In terms of inclusion, that’s a big red flag. But people are so used to being in male-dominated meetings that it frequently goes unnoticed. The gender wage gap is also a huge issue that has become so prevalent it’s almost like an accepted norm. When I wrote my New York Times Best Seller in 2011, Building A Magnetic Culture, the gender wage gap stood at 20 percentage points, with women making just .80 cents on the dollar compared to their male counterparts. While some of this differential can be explained by men choosing more physically-challenging jobs, such as working on oil rigs, high power, etc., it is sad to know that there has been absolutely no progress on the gender wage gap in the last nine years. Women are still stuck at .80 cents on the dollar. One would think that there might have been at least some improvement during those nine years. One thing that has changed in that time, however, is the spotlight on sexual harassment in the workplace. More than 1/3 of women report that they have been sexually harassed in their careers. Within technical roles, the number escalates to 45%. And for women who advance up the career ladder to ultimately have more power in their roles, harassment becomes even more likely. Shockingly, 55% of women in Senior Management positions say they were harassed at some point in their career. How are companies handling these disturbing issues? Men and women seem to hold different opinions on this. Only 25% of women feel that harassment incidents are rapidly addressed by their company, versus 40% of men. As you can see, women have a much harder path as working professionals than men, and we are still a very long way from solving this issue. 1. Initiate special efforts to get more women in your organization’s C-Suite. By getting more women into your Senior Management ranks, it will not only give them a greater and more uniform voice, but they can also serve as examples to inspire other women at your company. 2. Have both men and women in your executive ranks serve as mentors for less tenured women at your company. If you turn this into a formal program, you can create mentorship connections between people who wouldn’t otherwise have gotten to know one another. 3. Make sure your Diversity & Inclusion program gives special attention to eradicating workplace gender disparities. An employee resource group that supports the career advancement of women is recommended, even for smaller organizations. 5. When collecting salary survey data, make sure your provider addresses the wage gender gap. 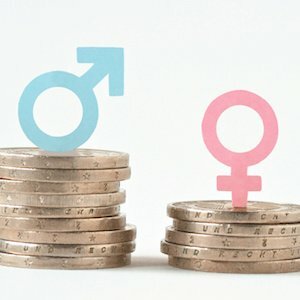 Some companies have found that even when the gender wage gap is addressed and corrected, it reappears within a couple of years. The best practice is to analyze gender differences in pay on a regular basis, rather than considering it a “one and done” exercise. 6. Continue to conduct confidential employee surveys, which easily discern whether certain groups of employees feel less supported, as well as other signs of discontent. Obviously, code the survey by gender so you can see how women feel versus men on each survey item. 7. Role out more training for the leaders at all levels of your company on how they can build more inclusive teams, especially for women and minorities that they manage. 8. When conducting succession planning for senior positions, make sure female candidates and minority candidates are considered for open positions. It might take longer to find a diverse group of candidates because there are fewer women and minorities in senior roles, but it is worth the effort. Don’t be afraid to suggest these changes in your workplace. It takes courage to help people, and even small efforts make a difference. Please forward this blog to as many people as possible, such that we can make a real difference and bring more equity for women in the workplace. 2018 McKinsey & Co. and LeanIn.Org Study of 64,000 North American Employees in 280 companies. This entry was posted in Blog and tagged leadership, talent management on November 12, 2018 by Kevin Sheridan.